July saw some pretty awesome yarn purchases by me, and this is no exception. Remember this wonderful hand spun, hand dyed, completely gorgeous art yarn from WoolWench? Hi, my name is Wink and I’m a yarn addict… I went to Unravel festival last year (will go again this February!) and there I found a lovely skein of The Natural Dye Studio yarn, with lovely sparkly bits in it and the most gorgeous blue, sea green, muted colours you’ve ever seen… So I’ve been looking for the perfect pattern for it, and I thought I found it in the Maia shawl. I was wrong. This is lace weight yarn, which is what the pattern calls for. But for some reason, this pattern just didn’t flow for me. And that is not to be blamed on the pattern, which itself is lovely! Just looking at those gorgeous FO’s on the Ravelry page makes me wish I had an FO myself… I don’t know what went wrong here. Maybe the pattern wasn’t as relaxing to crochet as I thought it would be. Maybe the yarn was a little too thin to work with for me, since I’ve been working with a lot bulkier yarns during the rest of the year. I don’t know. But what I do know is that I’m going to frog the progress so far, and look for a different pattern for this yarn. Thank goodness it wasn’t *all* bad in 2014; I have made some wonderful items and have done some pretty groovy things! Did anything exciting happen with your back to the wild resolution last year? That looked so interesting! Yes something did! :) Would you like me to do a separate post on that? Beautiful yarn and it makes me happy that I am not the only one who hoards beautiful yarn and not have a clue what to do with it! Is your shawl pattern difficult? Ik ben benieuwd naar je blogpost van morgen! Been following your amazing blog for about a half year and love seeing your projects and the beautiful yarns you work with. Copied off all the patterns of the quilt squares and hope to make it sometime in the future. The squares were gorgeous and the finished quilt breathtaking! Love the pattern of the shawl you showed us in fail number 3 and was wondering if it would be possible to get that pattern. We have a group who crochets prayer shawls for a local church and I’m always looking for interesting new patterns. You are such an inspiration and always a treat to read your blog! I also am addicted to crochet! I’ll be there too at Unravel and we will probably both fail at the yarn temptations….I look forward to meeting you – a great inspiration & incredible talent – NEVER a fail!! The Mollycoddle yarn shawl looks lovely – is there a specific pattern please as I have some of that yarn too but am at a loss as to what to make…? Tks again & for all the Scheepjes CAL hard work – fab!! We must be sisters in spirit. I inventoried my finished projects and yarn from 2013 & 14 only to find that my yarn stash has gotten bigger, and I ordered more yesterday!!!! Re: Failure # 4, that is going to be such a lovely finished item. I love the color, yarn and pattern. I understand when a pattern gets a bit unsatisfying. I just, this a.m., picked up a project I became frustrated with last month. I have a feeling it may be put back into the ongoing pile. You did so amazing things this year and only this few things are still waiting for you to make something of it or finishing it. So keep on doing what you love and be an inspiration for all your followers in 2015. I too am a yarn a holic. Can’t help myself and at this stage in my life I don’t want to! 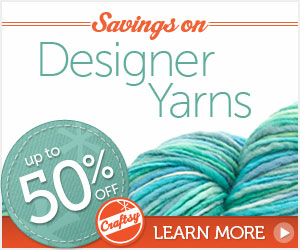 So here’s to yarn addicts like us! We rule! Youve got a lot of pretty things going on there! Dont worry about not finding the perfect project for your yarn yet, it will come then it will be awesome. Its a shame youre not going to finish your lacy shawl, I love the look of the piece youve made. Your blog entry made me laugh out loud as yes, I too, hoard beautiful yarns (my hope chest won’t close unless I sit on it, it’s so overloaded!) in the hopes of finding somethiing awesome to do with them. Thank you for sharing!